At present workers safety in Bangladesh is the most agitated issue over the world. Recent fire incidents and building collapse has made the issue live to us. Bangladesh workers, human right organizations and informational concerned parties have raised the demand for ensuring workers safety in Bangladesh. 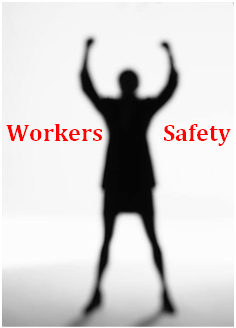 Although we enjoy the cheapest labor cost over the world, we hardly think of ensuring safety for the workers. In the last decade Bangladesh has witnessed many industrial disasters including factory fires. The most recent collapse of garment factory named Rana plaza on 24th April 2013 has shaken the world. Four major industries can be mentioned here where the laborers are working with lack of safety and several death incidents are occurred each year. These industries are – 1) RMG Industry, 2) Ship breaking industry, 3) Leather industry and 4) Construction industry. RMG Industry: Fires have been a persistent problem in the country’s Ready Made Garments (RMG) industry for over a decade. According to the Bangladesh institute of labor studies, 431 workers died in 14 major fire incidents between 1990 and 2012. Ship Breaking Industry: In ship breaking industry ship breakers including many minors use blowtorches and sledge hammers to tear the great ships. Most of the defunct ships contain a variety of hazardous materials, including asbestos, lead, heavy metals, liquid wastes, a acidic wastes all of which pose a major threat to the environment and workers health and safety. Leather Industry: According to human rights watch study, 90 percent of workers employed in the 150 tanneries located in Hazaribagh section of Dhaka face occupational hazards ranging from exposure to tanning chemicals to potential accidents causing limb amputations. Construction Industry: According to ‘safety and right society’ there were 149 deaths in construction industry in 2012, 183 deaths in 2011. Though in section 7 of the Bangladesh National Building Code (2006) has a section dedicated to safety measures for workers and clearly states that workers should wear helmets and safety harnesses and that all industries must have temporary stairs and ladders. However, even casual observation would reveal that these provisions are frequently violated. 1) Violation of building codes. 2) Residential apartments are converted into commercial factories. 3) Additional illegal floors to buildings. 7) Negligence of the management. 2) Manager, supervisors and workers should be properly trained in fire and safety procedures. 3) Ensure respect for worker internationally recognized rights of freedom of association and collective bargaining. 4) Garments worker should be properly trained in fire and safety procedures and Do’s and Don’ts when fire strike. 5) Ensure enough fire extinguishers within the garments factory.